It's still freezing outside. (We're annoyed, too.) 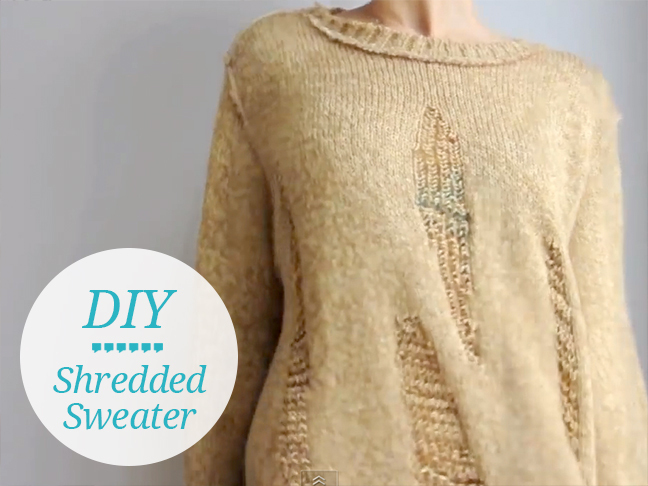 Shredded sweaters have been popping up everywhere, and are easy to make yourself. Boat People Vintage show us how to make a DIY Shredded sweater with nothing more than a pair of scissors and an old sweater. Easy peasy! Are you on-board with the shredded sweater trend? Check out more how-to videos moms, or see our entire collection of videos for moms!